Edgartown the oldest and largest town on Martha’s Vineyard. The historic homes, beautiful beaches and great restaurants make this one of the most popular summer destinations in New England. Edgartown became a prominent whaling port in the 1800’s and while the local economy has long since moved on from this industry, many buildings, homes and landmarks remain as a reminder of the area’s storied history. From the mainland, hop on a ferry to Oak Bluffs, a town that neighbors Edgartown to the north. 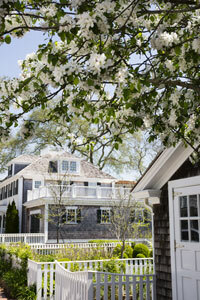 Once you reach the Vineyard, it is just a quick 15-minute bus ride (Route #13) or taxi ride to Edgartown. Another option is to take a plane to Martha’s Vineyard Airport, which is located on the border of Edgartown and West Tisbury. 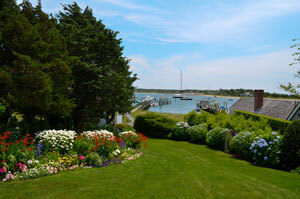 There are several bus/shuttle and taxi options to take you from the airport into Edgartown. South Beach in Katama is one of the most popular beaches on the island because of its wide, sandy shoreline and the great surfing conditions. To avoid dealing with parking, you can catch the #8 bus from downtown Edgartown or ride your bike along the paved bike path that runs from the town center. Lighthouse Beach is just a quick walk from downtown and offers visitors a great place to relax and take in the surrounding beauty of Martha’s Vineyard. The waters at Lighthouse beach are generally calm and you can watch as ferries and other boats pass by into Edgartown harbor. Norton Point Beach is over 2 miles long and connected Martha's Vineyard to Chappaquiddick until a 2007 storm created a breach in the barrier beach. This beach is great for swimming, fishing, and bird watching. Norton Point Beach does not have lifeguards, but nearby South Beach in Katama does have lifeguards during the summer months. East Beach is located on Chappaquiddick Island and it includes the Cape Poge Wildlife Refuge and the Wasque Reservation. 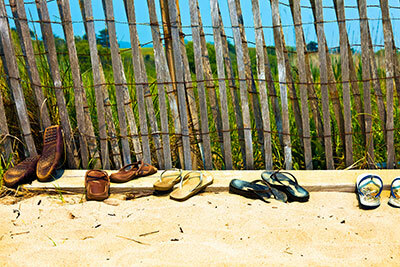 This lovely beach is one of Martha’s Vineyard best. To properly experience Edgartown, you should take some time to walk or bike through its streets where you’ll find beautiful, 19th-century homes, great shopping and delicious eateries. Make sure to check out the Edgartown Lighthouse for an amazing view of the surrounding harbor. The Martha's Vineyard Museum is a very popular attraction in Edgartown Village. This museum, formally known as the Martha's Vineyard Historical Society, features a wide variety of objects, photographs, archival documents, and paintings from Martha's Vineyard storied history. If you’re in the mood to relax, catch a movie at Edgartown Cinemas or visit Sea Spa Salon for a massage or spa treatment. The Boathouse is a private club that offers members access to amazing dining, heated pools, tennis courts, fitness center and more. The Boathouse Restaurant is located at the base on Main Street in downtown Edgartown, while the Field Club is a few minutes away in Katama on Fieldhouse Lane. The Island of Chappaquiddick is an important and breathtaking part of Edgartown. In addition to the amazing beaches, Chappaquiddick is home to the Cape Poge Wildlife Refuge and Cape Pog Lighthouse, as well as the beautiful Mytio Gardens, which are valuable ecological reservation areas.